When you get an email with the subject Girls Trip after what seems like the longest week ever, you decide to attend before you even know the plans. 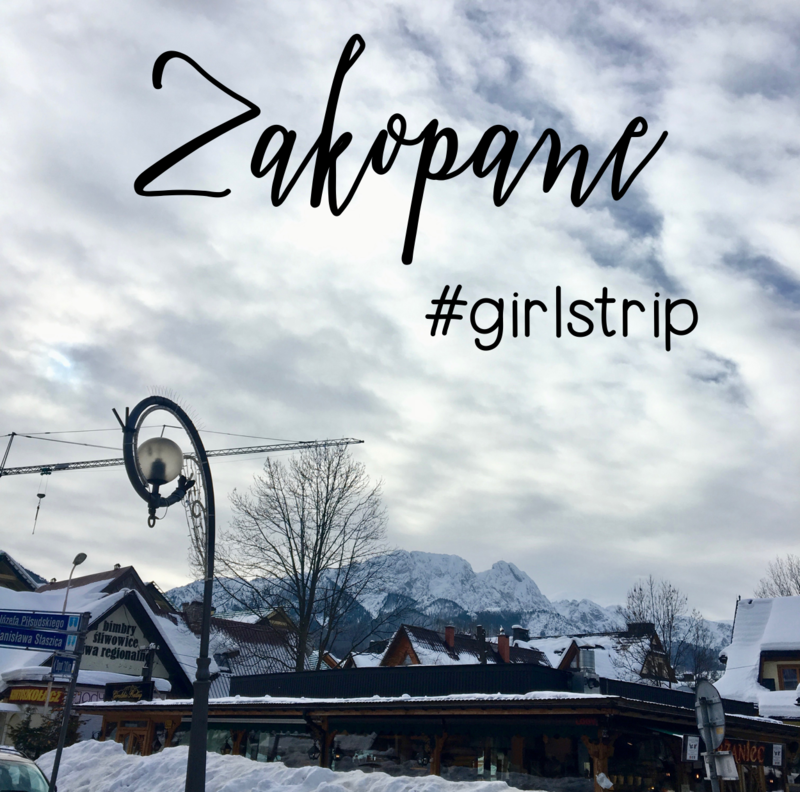 Zakopane was the perfect weekend getaway! 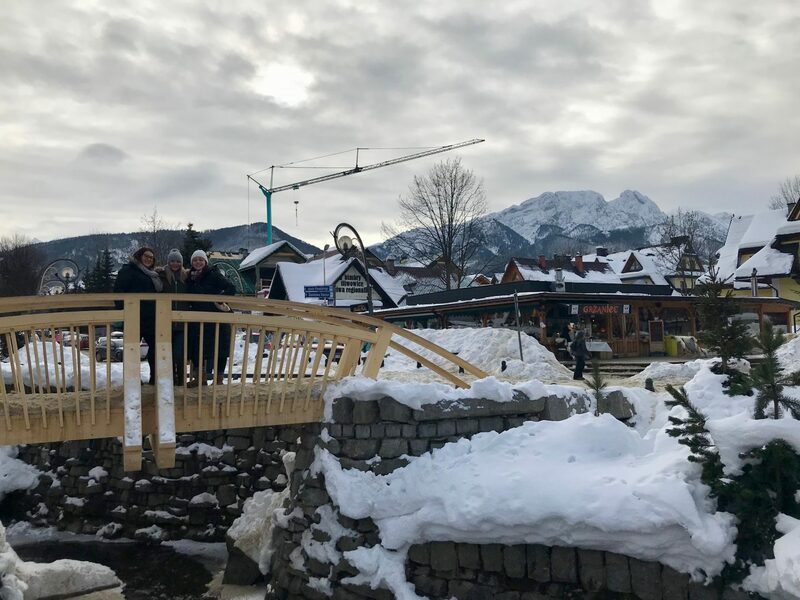 Zakopane, Poland is so stinking adorable! Seriously I think that they need to set a Hallmark Christmas movie here. That is how precious this city is. Zakopane is in the south of Poland at the base of the Tatra Mountains. 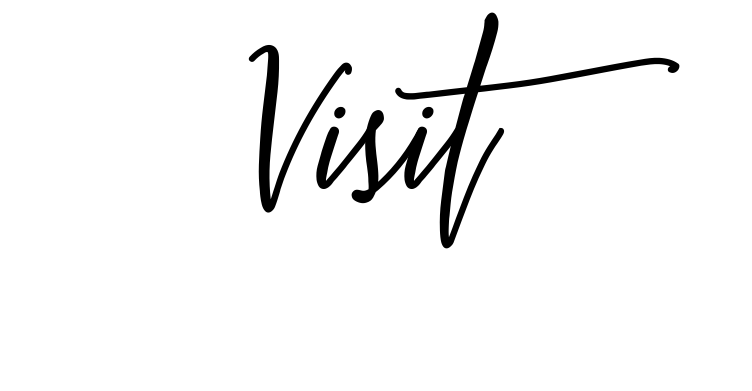 It is honestly a place to visit year round. I went in the fall and the hiking was gorgeous. In the winter, there are so many wonderful snow activities to do. I believe the easiest way to get from Krakow to Zakopane is via bus. Now… bus travel is not my favorite kind of travel but the ride to Zakopane isn’t too bad. I’ve used Flixbus both times I’ve gone. The seats are comfy and the ride goes by pretty quickly. It takes about 2 hours to get from Krakow to Zakopane but with traffic it can take a little bit longer. The bus station in Zakopane is only located about a 15 minute walk from the center of town. 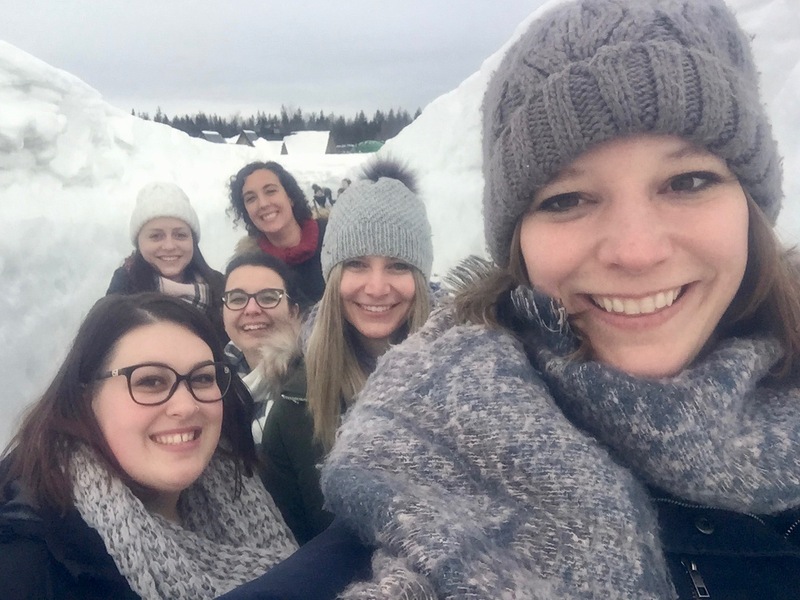 Snowlandia! 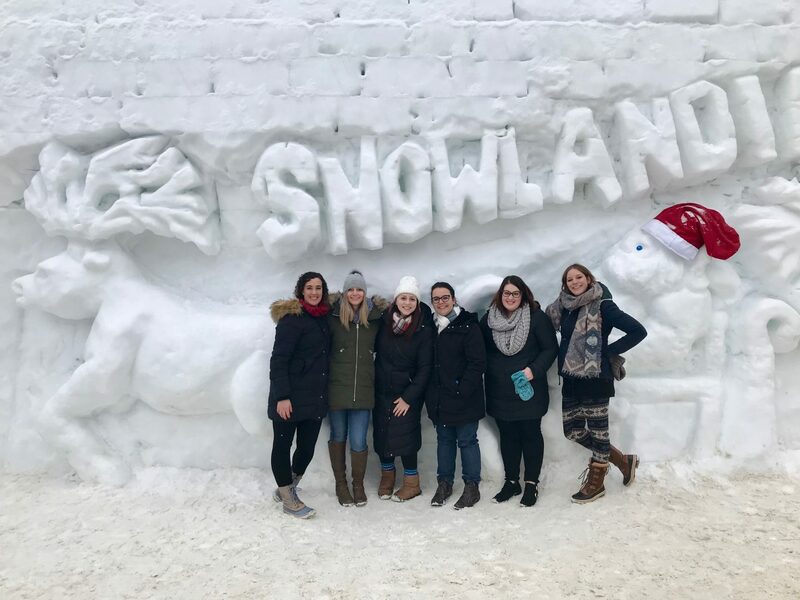 Snowlandia was so much fun. We opted to go into the ice maze. 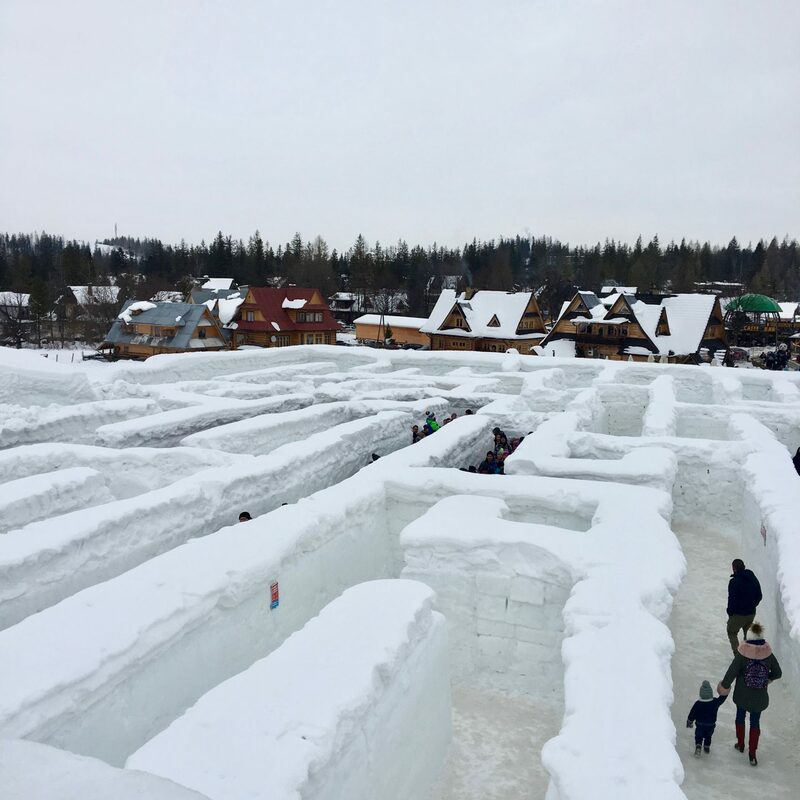 I hear that this is the largest ice maze in the world. We wound our way through encountering dead end after dead end. When you reach the end you can climb up a snowy structure to see into the maze. 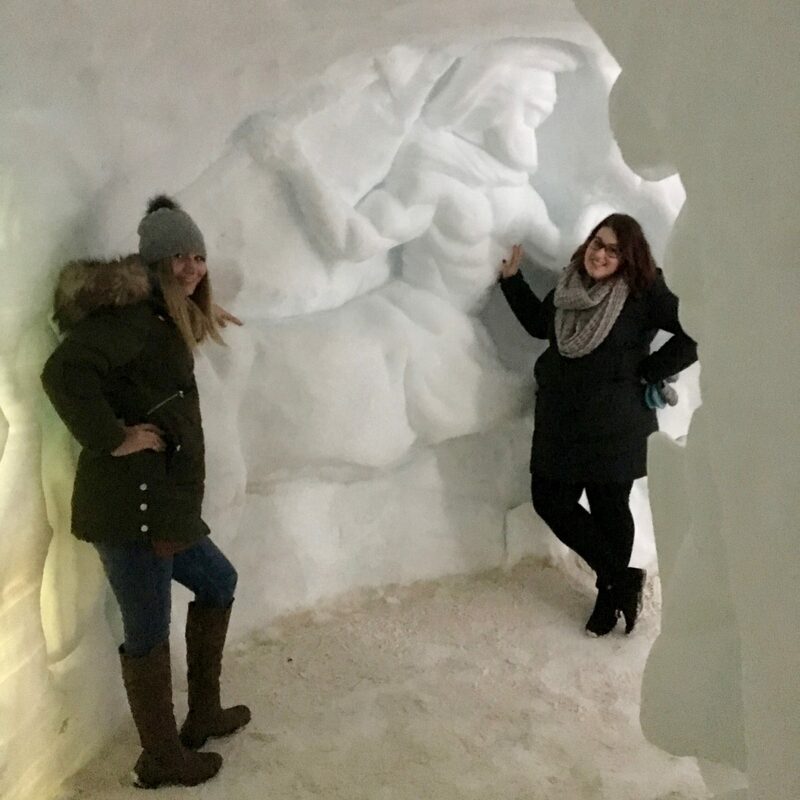 Throughout the maze there are many sculptures carved into the snowy walls. There is also sledding, an ice palace, and more at Snowlandia. 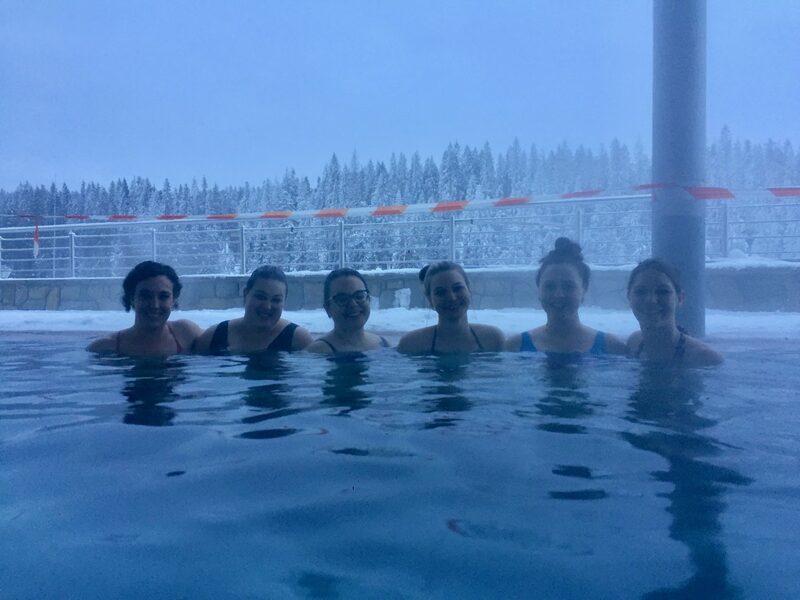 After an afternoon at Snowlandia and warming up with some hot wine we headed to the thermal baths. 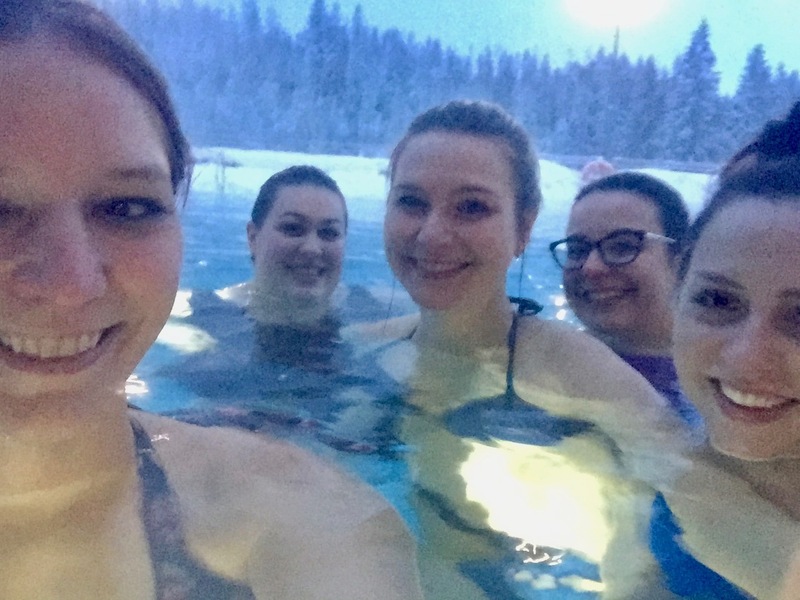 There are many thermal baths in Zakopane but we opted to go to Terma Bukovia. It was amazing. 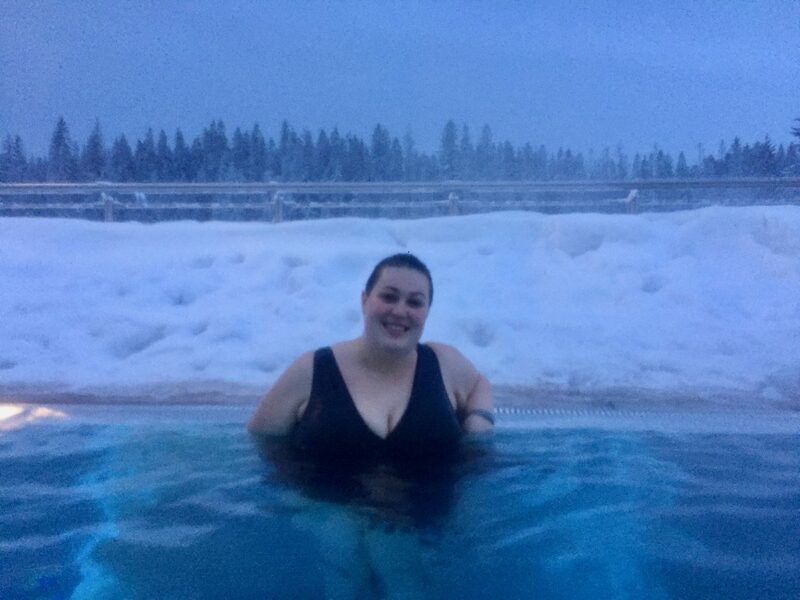 There is something so cool about being outside in the warm, warm water but surrounded by the snow and beautiful mountains. Thermal baths are so relaxing. The mountains! 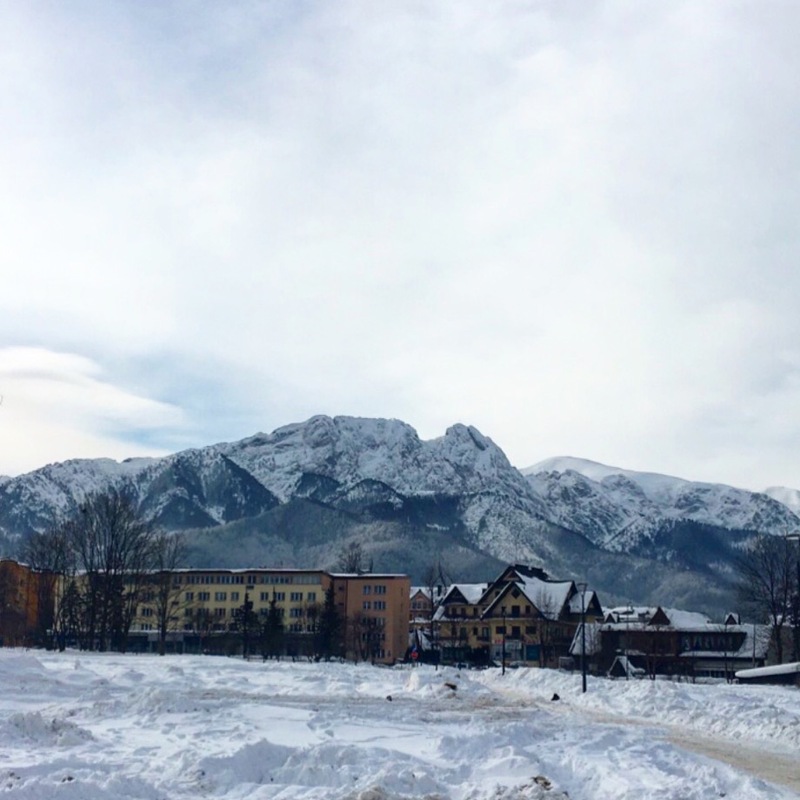 When I first visited Zakopane in the fall I fell in love with the mountains. You can take a chairlift up several of the mountain peeks. We didn’t do it on this trip. It was cold enough at the bottom of the mountain, I didn’t need to go up to the top. Also, I took my winter snow boots home at Christmas so I was not prepared. Uh.. 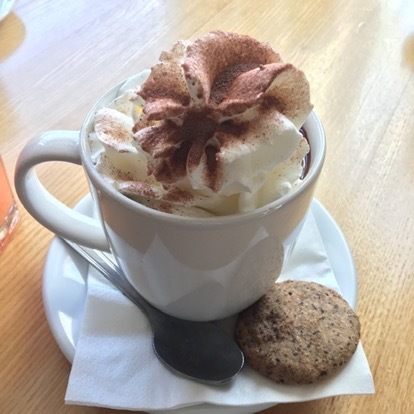 I had the greatest brunch of my life in Zakopane. In fact, it was so good we went back two days in a row! 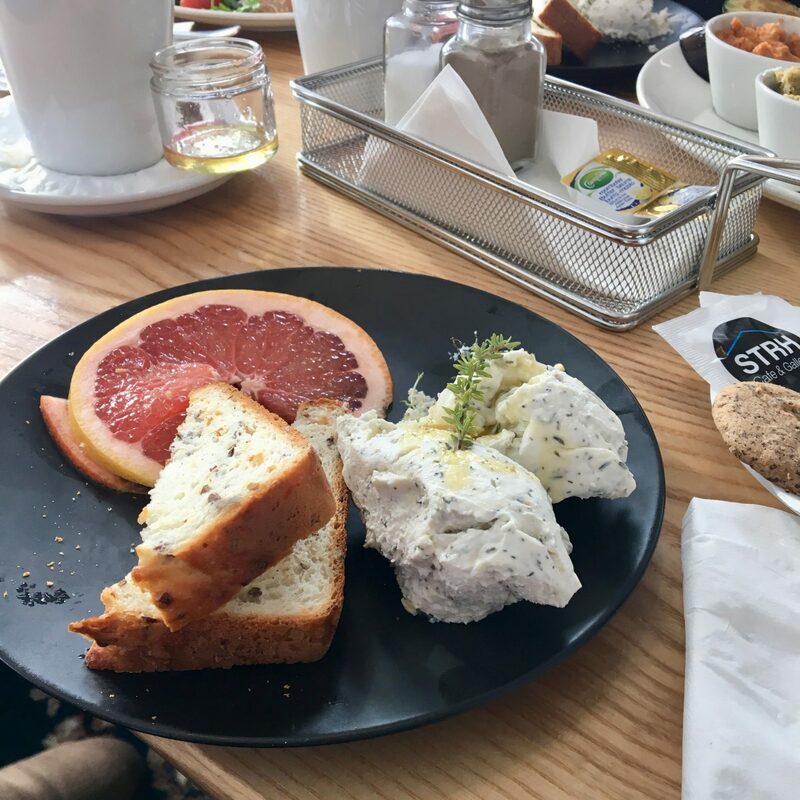 STRH Café and Gallery is where it’s at. That on the left is the best goat cheese I have ever eaten.